If there is one thing that unites all businesses, whether they are Etsy storefronts or multinational conglomerates, it’s that everyone needs to know how much money it has coming in and where it is going. At large companies and firms, this responsibility falls onto accounting managers. If you are someone with an eye for detail who knows their way around a budget, you might be an excellent fit for this job. The accounting manager is, largely, the head of a company’s accounting department. With the assistance of a small staff, the accounting manager keeps track of an organization’s finances and makes sure that the organization is following all necessary financial laws. Accounting managers prepare reports for executives, letting them know where they are in relationship to their monthly, quarterly, and annual goals. Accounting managers also help to forecast the company’s financial future. According to Glassdoor data, the average annual pay for an accounting manager is $88,160. Accounting managers can also earn an average of $8,426 in cash compensation. Compensation can range from $2,120 to $23,206, depending on the company, background, and academic experience. This generally translates to higher salaries for MBA grads. 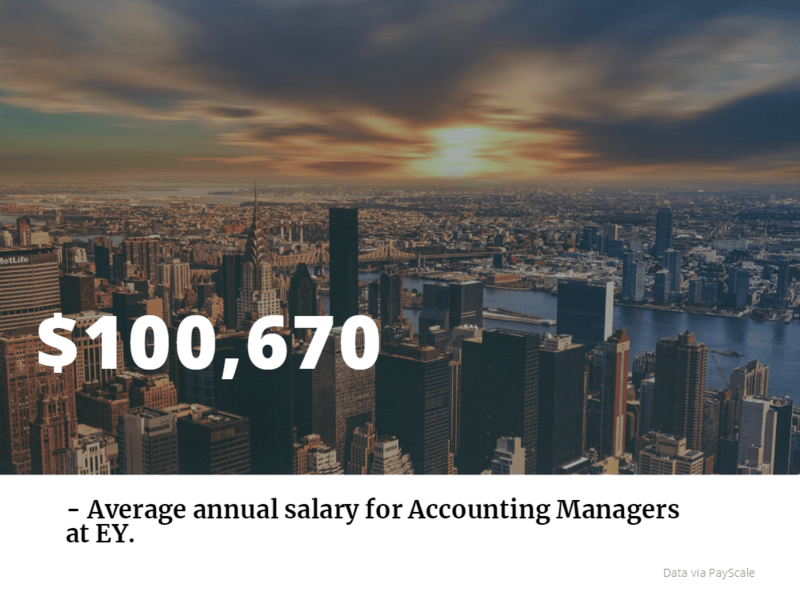 For instance, accounting managers at EY (Ernst & Young) will likely earn over $100,000 on average, according to PayScale data. Candidates for accounting manager positions must have at least a BA/BS in Accounting or Finance. Most positions require candidates to be licensed Certified Public Accountants, or CPAs. This is not an entry-level position; businesses generally expect candidates to have had some previous supervisory experience. Given the nature of this position, ideal candidates are ethical and able to think critically. Small errors can cost either a client or a firm a considerable amount of money, so it is essential that accounting managers are thorough in their work, always ensuring that their records are accurate and complete. In addition to the technical skills, accounting managers need to have excellent written and interpersonal skills, because they are required to manage staff, which entails interactions with a wide variety of people. One way to gain the skills needed for this position is to get a MBA from a top-notch program. We’ve outlined three programs, which provide the skills needed to be a successful Accounting Manager that stands out from the pack. The McCombs School of Business at the University of Texas at Austin is home to one of the country’s finest accounting programs. Students can gain considerable accounting knowledge while expanding their management abilities. They will be able to do this while living in Austin, one of the country’s most livable cities. Students in the Gies College of Business at the University of Illinois can develop their financial skills in the college’s flexible MBA program. The training will prepare graduates to take on the role of accounting manager at firms of any size. 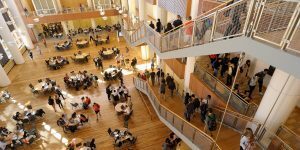 Among the top business schools in the United States, the Marriott School at Brigham Young University does not get its fair share of attention, which is unfortunate as it is home to one of the country’s top accounting programs. MBA students can go on the Finance track, which will prepare them for their futures as accounting managers.